If you want a brand-new kitchen built, or need your existing kitchen renovated, turn to the experts in McKinnon for kitchens: >AOK Kitchens. 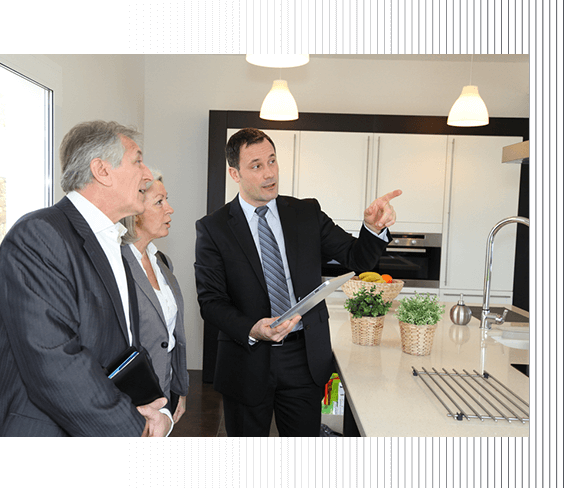 Our team will work alongside you every step of the way, from the design process to the building itself to get your McKinnon kitchen looking the best it ever has. We pride ourselves on the quality of the kitchens we have provided to numerous residents in McKinnon. Kitchens are the centre of many homes, where families and friends come together, so it is important to keep them functioning and looking their best. Whether you need new flooring, smartly designed cabinetry, or new mod-cons, our McKinnon kitchen services include it all. If your McKinnon kitchen has been used heavily and needs an update, AOK Kitchens can help. Our renovations ensure you will get the most out of the latest technologies and be able to cook and entertain in your kitchen. For unique, stunning kitchens in McKinnon, turn to the team of expert designers at AOK Kitchens. Our McKinnon kitchens are the ultimate combination of practicality and beauty, which is why locals trust us for all their kitchen renovation, joinery and design needs. Call us today on 0413 345 341 to discuss your dream kitchen.